It’s full speed ahead for an automotive consultancy firm which has expanded its services to Warwick. Quick Release is a managed service provider supporting the automotive industry and specialises in bill of material control, process management, project management and supplier support. 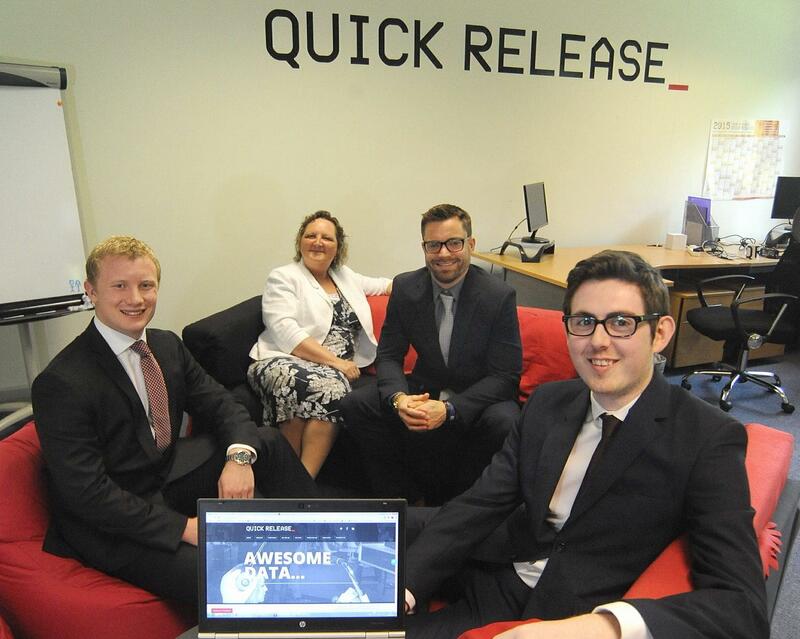 Following an increase in new business including projects with Jaguar Land Rover, Aston Martin and Magna, Quick Release has opened an office base at the University of Warwick Science Park’s Warwick Innovation Centre in Gallows Hill. The company initially set up in Dagenham, Essex, in 2000 and has expanded to employ over 70 consultants which operate from various premises in the Midlands, South West of England and Cologne, in Germany. The firm works with leading automotive suppliers and Original Equipment Manufacturers (OEMs) to ensure that digital information is high quality and that data management processes are robust and functional. Jamie Alexander, of Quick Release, said the firm is now looking to boost its operations in the Midlands by taking advantage of the hub of automotive firms located in the area. He said: “Quick Release was established to facilitate communication between OEMs and suppliers. Our aim is to improve efficiency by taking care of technical administration so that our clients can concentrate on their core competencies. “We work with programme teams during the product development phase and production process to ensure that the digital environment supports what translates into the physical world. “Our team are all incredibly adept at quickly and accurately manipulating data which enables us to eliminate the types of information misalignments that cause costs and time delays. “Data and information is used today to report the status and drive actions in the physical world, so information quality and control is essential to enable quality decision making and ensure quality in the physical world. “Following an influx in new business, we felt it was the right time to establish a base in Warwick which has enabled us to take on three new starters, co-ordinate projects and complete training. “Warwick Innovation Centre is set up to cater for small businesses working in the scientific or technology sectors and met all of our requirements. We have also enjoyed networking with similar businesses. Karen Aston, centre manager at Warwick Innovation Centre, said the flexible office space available is perfect for larger companies looking to establish a subsidiary office. “It is great that Quick Release has been able to strengthen its connections to automotive suppliers in the area by having a physical office space from which it can co-ordinate projects and training,” she said. “We are always happy to accommodate larger companies eager move to the area and we are delighted to see that Quick Release was able to recruit new staff as part of its move.